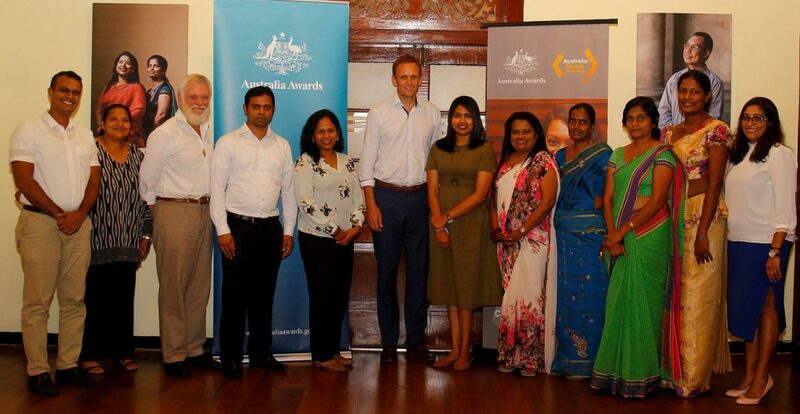 Australia Awards recently awarded grants to alumni groups from Bangladesh, Bhutan, Nepal, the Maldives, Pakistan and Sri Lanka to implement projects on environmental protection and climate action. The grants have been issued in time for World Environment Day (5 June 2018) and will support 48 individuals in 14 groups to become champions for the environment and climate change mitigation in South and West Asia. The total funding for the 14 projects is more than AUD45,000. The recipients recently signed grant agreements with representatives from Australian diplomatic missions in their respective countries. They also attended briefings on child protection and fraud control conducted by the Australia Awards country offices. During the grant signing ceremony in Nepal, the Australian Ambassador to Nepal, His Excellency Peter Budd, said, “Climate change is a deep concern today; there is an urgent need to take mitigation and adaptation action. This is a priority for Australian aid. We commend these projects by the Australia Awards alumni groups that align with the Australian Government’s priorities”. HE Budd also stated that there could be scope to explore replicating the alumni projects on a larger scale to create a bigger impact. The alumni groups will present their project outcomes at this year’s Regional Alumni Workshop for Australia Awards South and West Asia, which will be held in Bhutan in November, under the theme “Environmental Protection and Climate Action”. At the event, the grant recipients will also have the opportunity to attend master classes and professional development activities, and visit innovative environmental protection projects in Bhutan, known to be the only carbon-negative country in the world. Three projects declared as winners will receive additional funding to support project expansion. The projects that have been awarded grants include developing a mobile app for improved disaster response (Bangladesh), conserving biodiversity through the cultivation of high-value medicinal, aromatic plants (Nepal), and empowering school children to be champions for environmental protection (Sri Lanka). Abul Bashar M Fakhruzzaman, an alumnus from Bangladesh, said, “We are delighted that our innovation idea was selected. We extend our sincere gratitude to the Australian Government for making it possible for us to work on a practical problem that we can address through our project”. Other funded projects include a project to help strengthen the role of women in Pakistan’s renewable energy sector (Pakistan), building a live environment park to bridge classroom learning to real-life situations through advocacy, modelling and networking related with environment protection and preservation (Bhutan), and mainstreaming disability in disaster preparedness in the Maldives through GIS mapping and communications (Maldives). 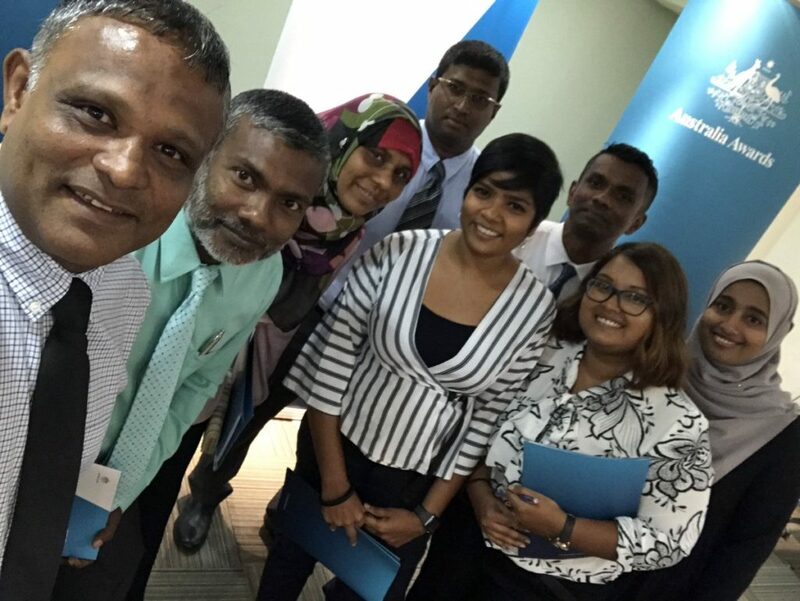 A representative from an alumni group from the Maldives said, “The project enables us to address the need for a disaster preparedness program in the country. It also creates an opportunity to potentially bring a positive change for the nation and the region”. Each year, Australia Awards provides grants to selected alumni groups and a Regional Alumni Workshop to give alumni from the region theopportunity to present their work, share experiences, and form professional networks with each other and relevant stakeholders. 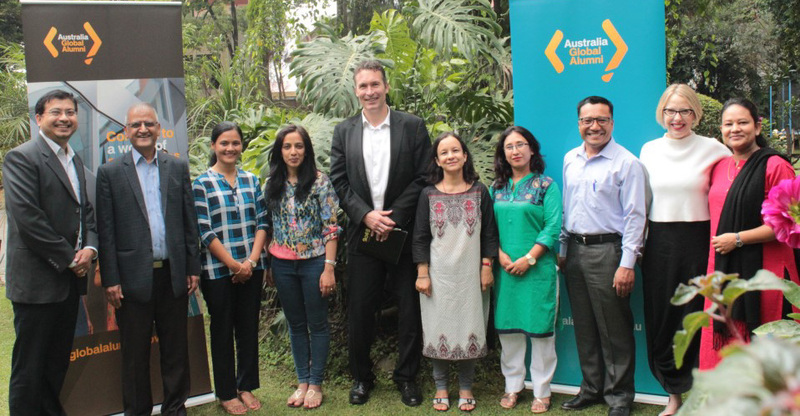 “These grants provide a resource for Australia Awards alumni to translate their passion for the environment into concrete actions”, said Tony Crooks, Team Leader, Australia Awards South West Asia. The 2017 Regional Alumni Workshop took the form of an Alumni Innovation Challenge providing grants to enable 35 alumni to pilot a Development Innovation in areas of priority for the Australian Government in their country.